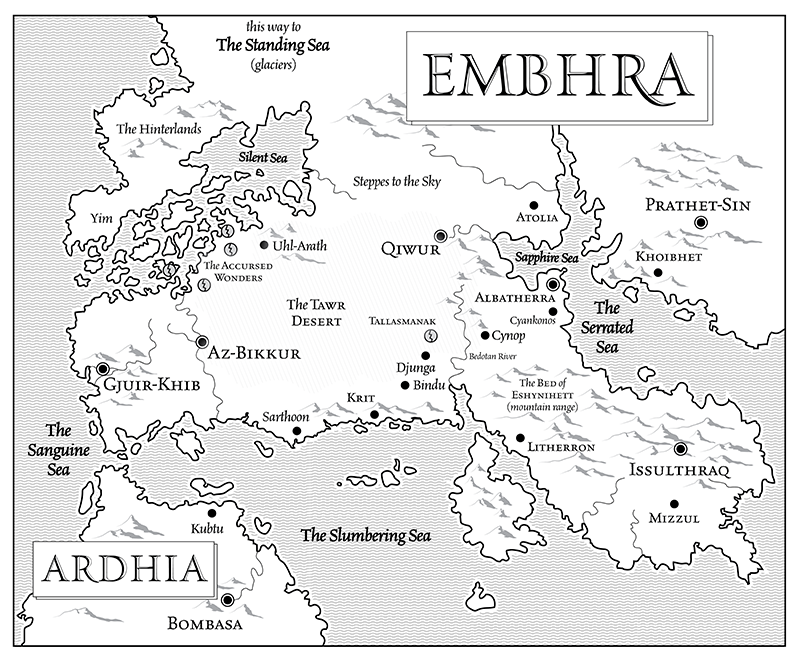 You might call Embhra the cradle of civilization. Although it is more like the nursery school of civilization. Nascent empires toddle from one fertile crescent to the next. They are snot-nosed. Not yet potty-trained. Watch as these young kingdoms stumble together. They babble, and new superstitions and prejudices take root. They throw fits, and these clashes lead to war. They spread germs, and plagues ravage the lands. In the midst of every war, through every plague and pestilence, the people hope for salvation from higher powers. They build idols. They offer sacrifices. They bargain with strange mages. Desperately, they put their faith in magic. Because magic is very much a real thing in Embhra. You might say, ‘Aha! Well that sounds good at least.’ But let me ask you: What is so good about magic? Have you ever had a wizard do you a favor? Have you ever had a positive experience with a river nymph? A pleasant encounter with a demigod? I dare say you have not. That’s because, ultimately, magic is only good to those who can understand it and control it. Magic is for wizards and witches and spirits—‘higher powers’ who jealously guard their secrets and use them as tools of war and oppression. Embhra needs something new. Something that’s meant for everyone. That’s where the Groundbreakers come in. Sygne is a scientist from the philosophical bastion of Albatherra. Her fondest dream is provide potable water to all the impoverished and oppressed peoples of the world. Her friend Jamal is a bit more shallow. After a life of hardship and violence, he’s now seeking glory as a poet-singer. Again and again, Jamal finds himself drawn back to the life of a swordsman—like when he bounds in to save a princess who is about to fall victim to an ancient and evil ritual of human sacrifice. The problem is that he bumps into Sygne, who’s making her own rescue attempt. 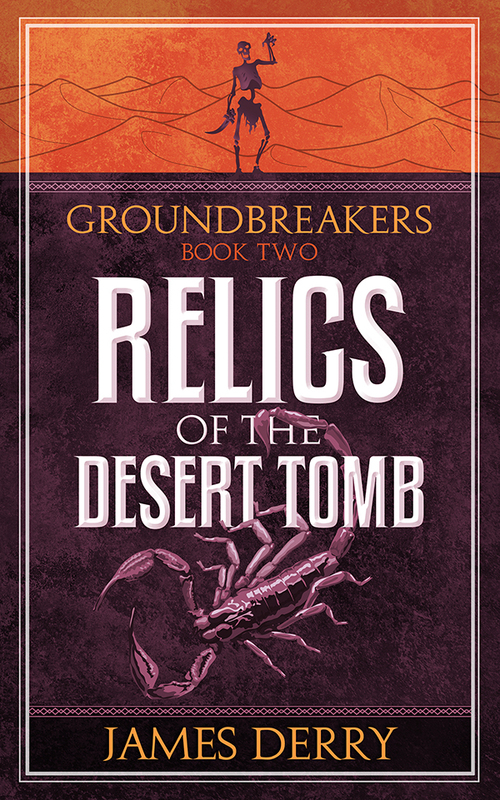 Together, Sygne and Jamal find themselves drawn into a world of intrigue and murder. Can they survive the machinations of a bloodthirsty warlord, a devious sorcerer, an imperious war-goddess, and an envious love-goddess? And even if they can survive, can two mere mortals truly make a difference in a world where magic runs rampant? Find out in the first two adventures of the ‘Scientician’ and the Singing Swordsman! 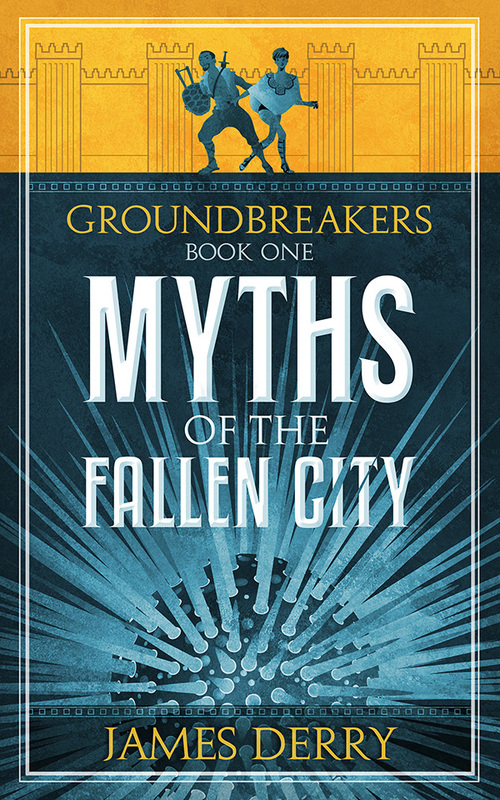 Myths of the Fallen City and Relics of the Desert Tomb.